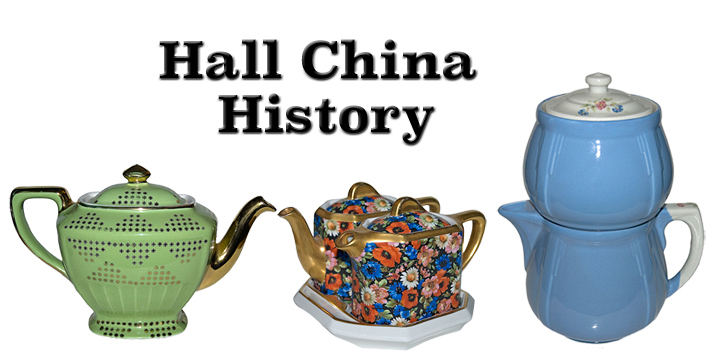 The Hall China Company was established on August 14, 1903, as a result of the dissolution of the East Liverpool Potteries Company. This company had been formed in 1901, as a result of the merger of six small East Liverpool area potteries. The six independent companies included: The East End Pottery , The East Liverpool Pottery Company, The Globe Pottery, The George C. Murphy Pottery, Wallace and Chetwynd Pottery from East Liverpool and the United States Pottery of Wellsville, Ohio. Robert Hall, a member of the board of directors of the East Liverpoool Potteries Company, bought one of the companies---the former East Liverpool Pottery Company---located in the old West, Hardwick, and George Building at Fourth and Walnut Streets in East Liverpool, Ohio. Initially, 38 potters were employed at three kilns to produce spittoons, combinets, and a limited amount of dinnerware. In 1904, Robert died and his son Robert Taggert Hall, became manager. Robert T. Hall kept the plant operating by producing primarily toilet sets, jugs, and other white ware. At the same time he experimented endlessly to rediscover a lost process from the Ming Dynasty (A.d. 1368-1644) in China, which would allow him to produce non-lead glazed china with a single-fire process. This single-firing would allow the glaze to penetrate the unfired body, creating a craze-proof finish. Robert T. Hall experimented from 1904 until 1911 before he finally achieved success. His new process created a colorfully glazed china which was strong, non-porous, and craze-proof. The new technique fused together the white body, color, and glaze when it was fired at a temperature of 2400&Mac251; F. The resulting product was very dense, did not absorb moisture, and held heat well. 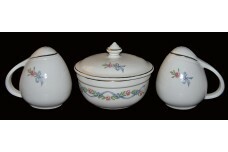 Hall China experimented briefly with dinnerware from 1908 until 1911, but chose to concentrate on institutional wares. As the company grew, and the institutional line expanded, two more plants were added in East Liverpool. The successful addition of their Gold Decorated Teapot Line in the 1920s pushed the capacity of these plants to the limit. By 1923, Hall claimed the title of "the largest manufacturer of fireproof cooking china in the world". In 1930, a new plant was built on the east side of East Liverpool and the three old plants were abandoned. This new plant enjoyed numerous expansions during the intense concentration on decal dinnerware and kitchenware patterns that began later in the 1930's. The Hall China Company, currently owned by Homer Laughlin, is still operating in this plant today. Once again production is targeted primarily at institutional and commercial customers. 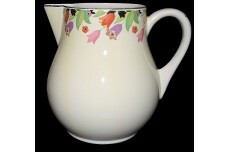 However, in 1985, Hall re-introduced some of its old kitchenware and teapot shapes for the retail trade. Also, of great interest to many collectors are the limited edition Autumn Leaf pieces which are currently being made for both a private company and the National Autumn Leaf Collector's Club. 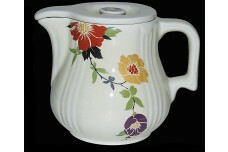 In many ways Hall China has remained viable by adapting to meet the special needs of its customers. Check out the 1939 Hall China Special Catalog below.